Manchester’s Lightweight King Terry Flanagan will make the third defence of his WBO World Title against South Africa’s two-time world champion Mzonke Fana as chief-support of World Heavyweight Champion Tyson Fury’s rematch with Wladimir Klitschko at the Manchester Arena on July 9, live and exclusive on BoxNation. Undefeated Flanagan, 30-0 12 KO’s, makes a hero’s return to Manchester after defending his world title in enemy territory against Liverpool’s Derry Mathews in March. 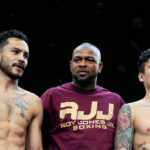 All-action ‘Turbo’ smashed mandatory challenger Diego Magdaleno inside two rounds in his last outing at the Manchester Arena last October and is predicting another devastating performance on his big return. 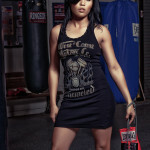 “It doesn’t get any bigger than fighting as chief support and right before the lineal heavyweight championship of the world. The world will be watching as a fellow Manchester man Tyson Fury aims to show he’s the best heavyweight on the planet once again,” said Flanagan. 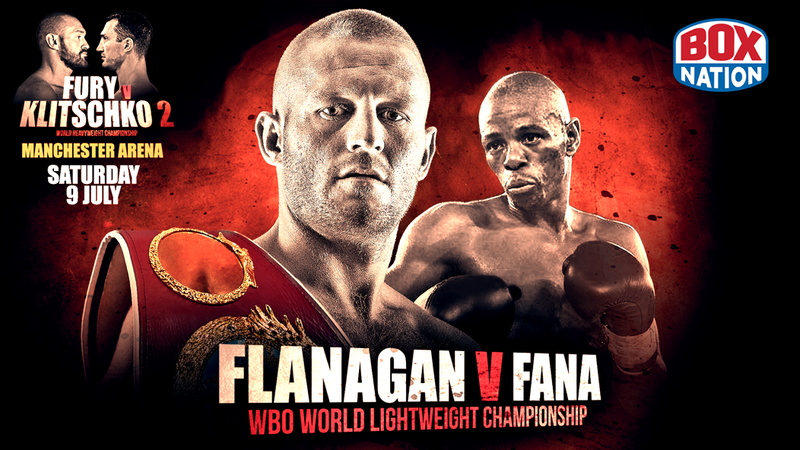 Flanagan, 26, has come a long way since his impressive BoxNation debut against Yordan Vasilev back in May 2014. Since then the Mancunian has gone on to become a world champion and says he owes a lot of his success to his loyal support. 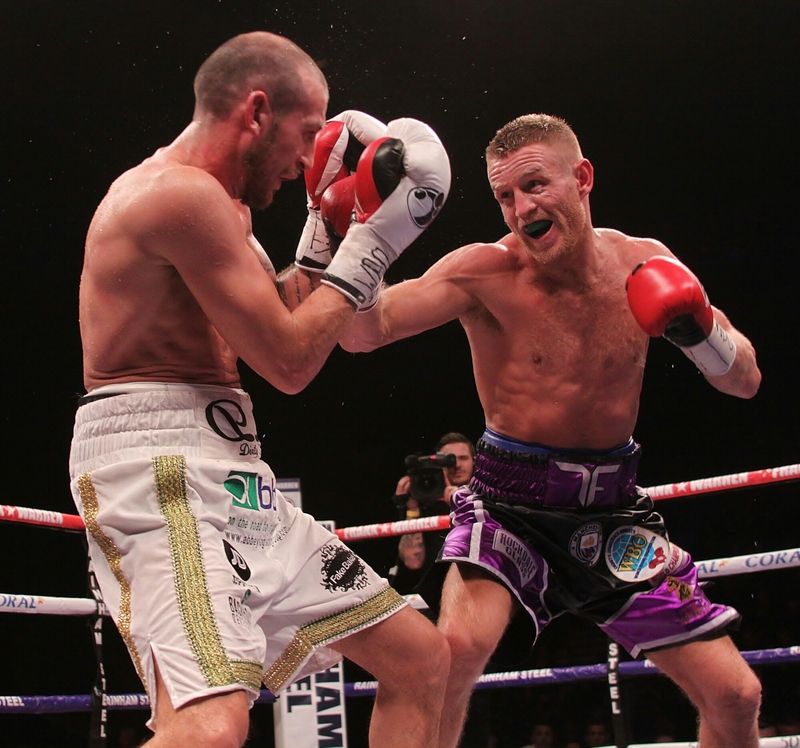 Terry Flanagan beat challenger Derry Mathews to retain his WBO World Lightweight crown with a unanimous decision at the Liverpool Echo Arena. All-action Turbo proved why he is rated as one of the world’s very best lightweights despite the best efforts of the brave Mathews. The packed-out Arena were treated to an explosive performance from both men who gave it their all to take home the WBO belt. Flanagan silenced the hostile Liverpool crowd early on with his blistering hand speed and silky movement. Undefeated Flanagan began to take control of the fight in the early rounds, landing powerful combinations on the Scouse challenger. The southpaw found his range in the second round and appeared to have too much for Mathews to handle. 32 year-old Mathews lived up to his ‘Dirty’ nickname, punching in the clinch and doing his all to stop the relentless onslaught form the Mancunian lightweight king. Challenger Mathews began to fight back in the fourth round, landing two big hooks on the cornered Flanagan. Both men took a warning form the referee for pushing as the massive all-British showdown began to spice up. 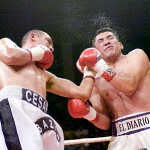 Mathews went looking for his renowned big punch in the fifth round and connected well with a solid right hand. The Scouse half of the crowd could sense their man was getting back into the bout as Mathews took the fifth round. Chants of ‘Derry Derry!’ filled the electric arena. Derry remained a threat throughout the sixth round and continued to cause the champion problems; finding his way through Flanagan’s defence repeatedly. Despite Flanagan edging the rounds Mathews remained a constant threat. The referee finally docked Flanagan a point for the use of his elbow in the eighth round to the delight of Mathew’s supporters. 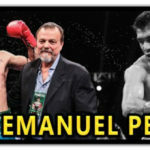 An explosive start to the ninth round saw both men trade at will, with the eagerly-anticipated world title clash was turning into a real barn burner. Southpaw Flanagan started to retake control of the bout in the tenth round, dominating the middle of the ring and forcing Mathews onto the ropes. 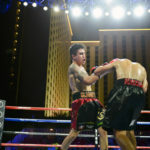 Sensing he was down on the score cards, Mathews came out of his corner in the eleventh round looking to end the contest with a show-stopping punch. 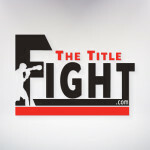 It was too little too late for the man looking to land a full world title in his 50th professional fight as the judges handed Flanagan a unanimous decision. 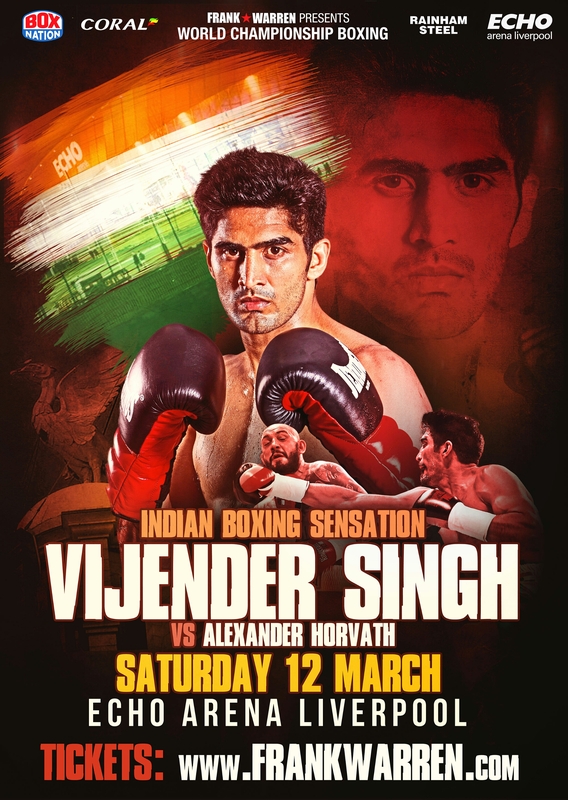 Indian superstar Vijender Singh is moving fast towards his first professional title shot this summer and must next dispose of dangerous Hungarian Alexander Horvath at the Liverpool Echo Arena on Saturday 12th March to stay on track. The red-hot middleweight ace, who won Bronze at the 2008 Olympic Games, is undefeated in three fights with three knockouts in only six rounds of action since his pro debut last October and aims to take out Horvath in quick time. Singh will have no time to rest as he has another big fight lined up just three weeks’ later at the Harrow Sports Centre, London, as he builds towards his ground-breaking title opportunity in India. The 30-year-old, from Bhiwani, is an icon in his homeland and his summer hero’s return will be a national homecoming event and he says there is no way that rival Horvath will upset that from happening. “It’s my absolute dream to fight back home in India in front of my countrymen and women so I won’t let Horvath get in my way of that at all,” Stated Singh. 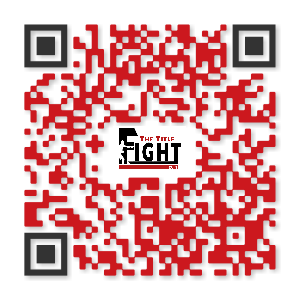 Horvath, from Törökszentmiklós, comes into the fight against Singh with a record of five wins from seven fights. The 20-year-old has the edge in experience over Singh with 31 rounds under his belt and has no fear fighting abroad taking bouts in Slovakia and France. He says he has seen plenty of weaknesses in Singh and he can be the first man to exploit them and inflict the first defeat to shatter his homecoming title dreams. “Three before me have tried and failed to beat Singh so now I will finally end this pretender’s hope of winning a title,” Stormed Horvath. 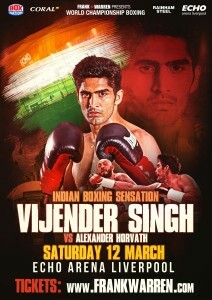 Singh features on an action packed card headlined by Terry Flanagan v Derry Mathews for the WBO World Lightweight Championship that also features one of the worlds greatest boxers, Guillermo Rigondeaux, taking on Merseyside hero Jazza Dickens; another star of world boxing, dynamite punching South African Zolani Tete challenges for the Vacant IBF International Bantamweight Championship against Jose Santos Gonzalez; Birmingham ace Tommy Langford defends his WBO Intercontinental Middleweight title against Lewis Taylor; hard-hitting Ellesmere Port’s star Paul Butler will challenge for a championship belt; Blackpool’s Matty Askin defends his English Cruiserweight title against Swindon’s Lawrence Bennett. 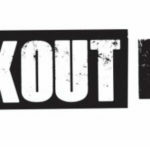 The undercard features some of the best talent in Merseyside: undefeated leading world title contender Kevin Satchell; red-hot prospect Steven Lewis; European Champion Ryan Farrag; Manchester prospects Macaulay McGowan and Zelfa Barrett and Leicester ace Lyon Woodstock complete the card.